DDr. Benjamin Best was born and raised in Michigan where he attended Michigan State University and the University of Michigan for undergraduate education. He attended Des Moines University School of Medicine in Iowa. 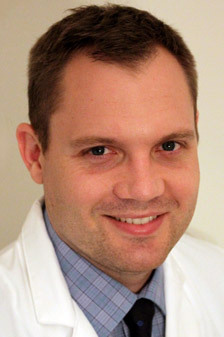 Dr. Best completed his orthopedic residency in the St. John Providence Health System. ... Read More He then pursued further subspecialty training, completing his orthopedic trauma fellowship at Wake Forest University-Baptist Medical Center, the busiest level 1 trauma center in North Carolina. He is a board certified orthopedic surgeon specializing in fracture care and musculoskeletal injuries. Dr. Best is a Clinical Assistant Professor of orthopedic surgery for both the Michigan State University and the Wayne State University residency programs. His clinical interests are in orthopedic traumatology & rehabilitation, foot and ankle trauma, all pediatric fractures, upper extremity trauma, hip & knee replacements and arthroscopy. He treats a wide variety of orthopedic conditions. Pediatric fractures that he treats include but are not limited to fractures of the wrist, forearm, humerus, elbow, shoulder, pelvis, hip, femur, tibia, ankle and foot. Dr. Best is a devoted family man. He spends his free time with his wife and sons. Dr. Best enjoys helping people return to normal activity after encountering a fracture or set-back in their orthopedic health. He is very committed to providing the highest quality of care for his patients.